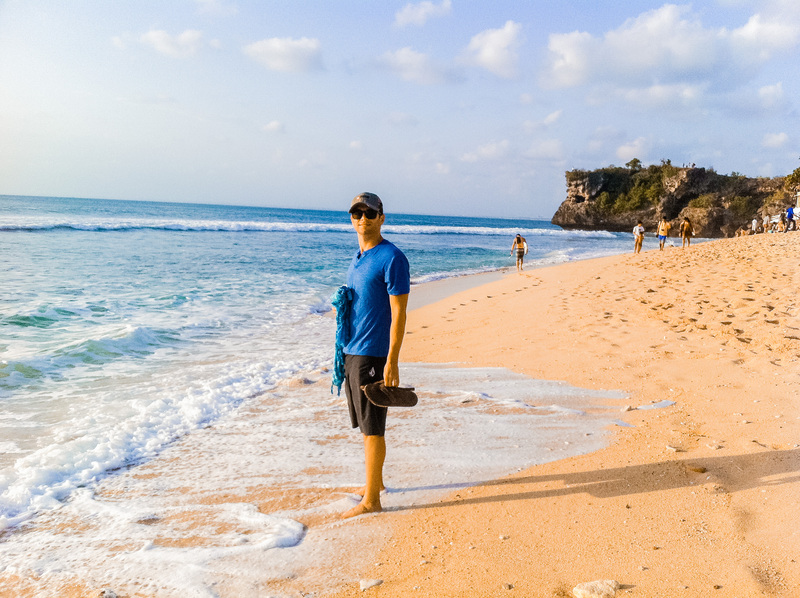 We spent the first and last weeks of our two months in Indonesia on the beaches of the Bukit Peninsula. 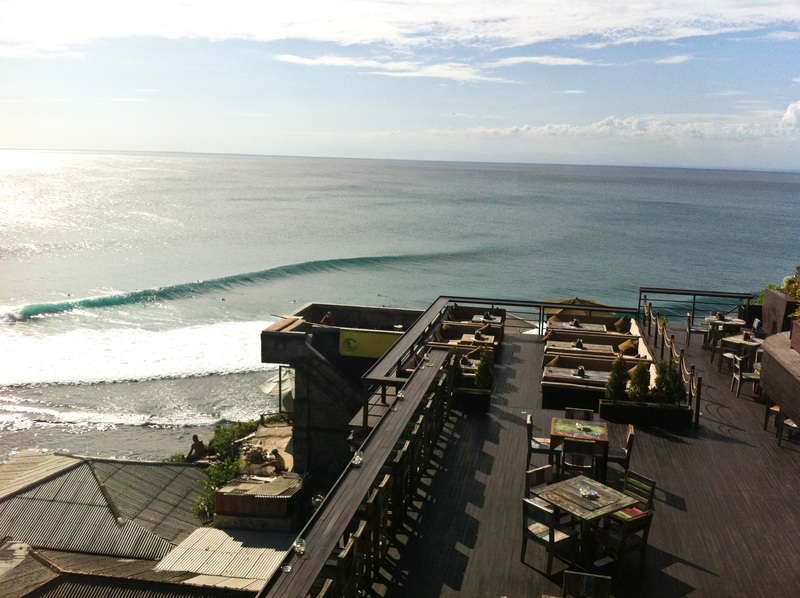 Bukit is home to some of the prime surf spots in Bali (happy hubby! 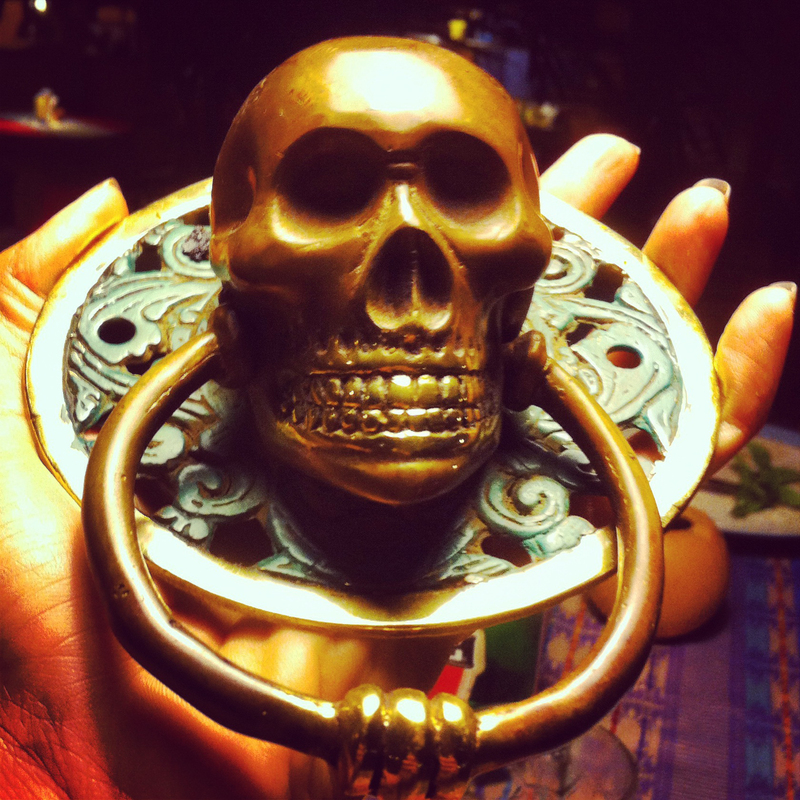 ), and for those of you who haven’t been, it’s that little dark green genie lamp sticking out at the bottom here. 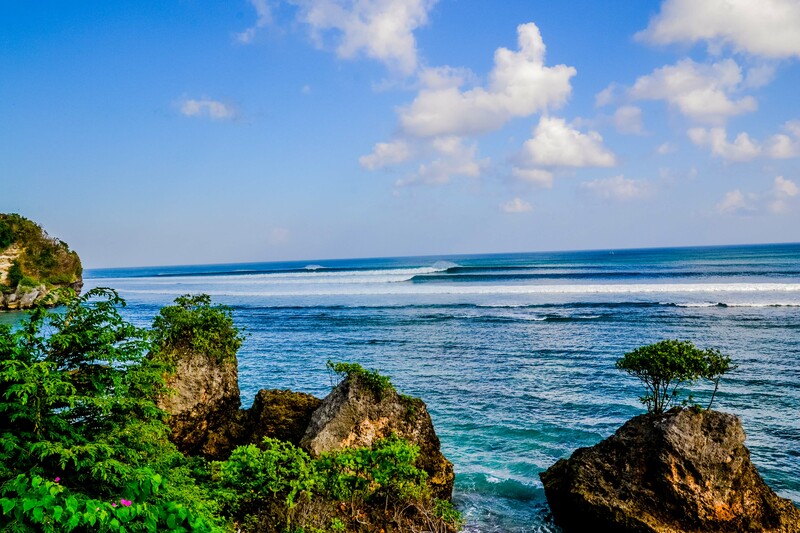 There are many fabulous beaches, most on world class surf breaks. We sampled the majority but spent most of our time on Bingin. Here’s a run down. My favorite of them all because of the beauty and the vibe. 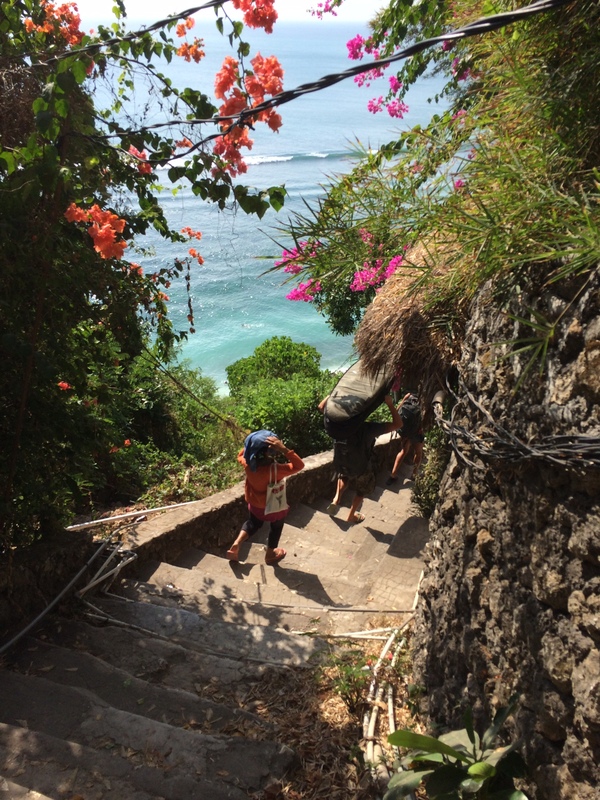 To reach Bingin you must descend a wicked set of stone stairs as the village is built into the side of the cliff. Because you have to work for it, it keeps the day trippers to a minimum and you get folks that are hunkering down to stay for a few days. 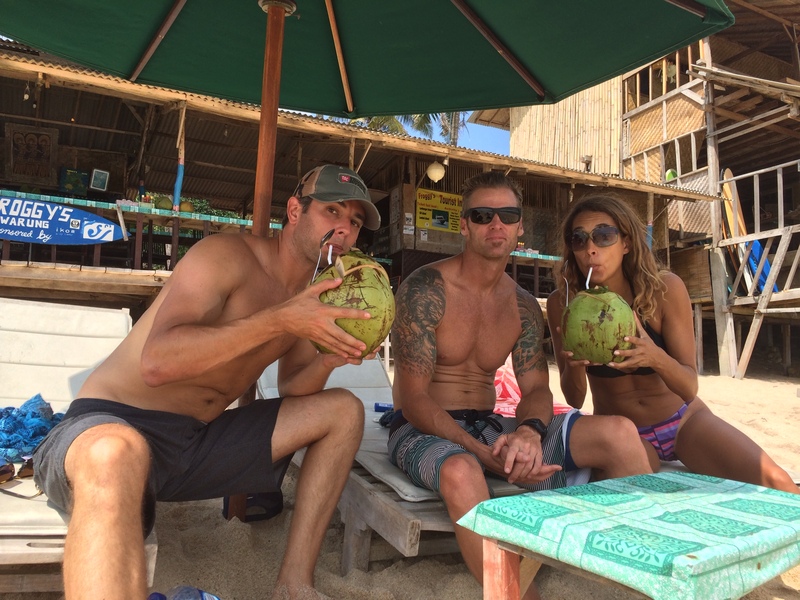 Beach BBQ’s under the stars every night, daily yoga, killer surf, and a real surf/chill vibe it’s hard to beat Bingin. 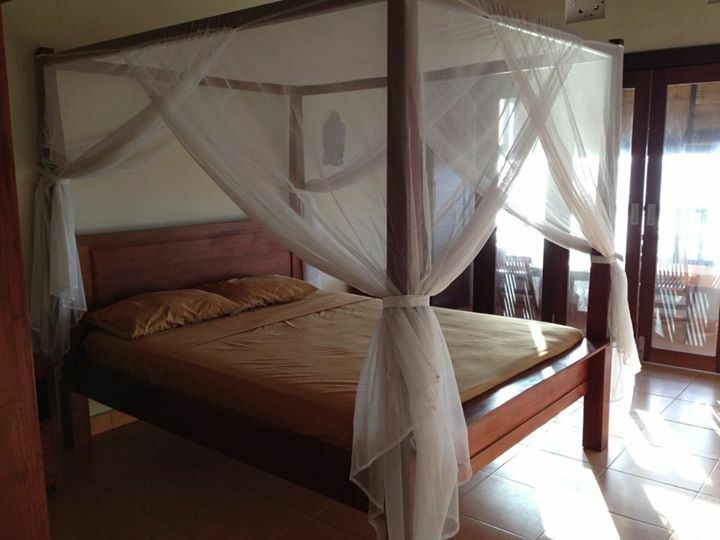 Accommodations range from full out villa to basic rooms with shared bathrooms. The most family friendly beach on Bukit. The biggest beach in the area with lots of chairs with umbrellas for rent if you need a break from the sun. 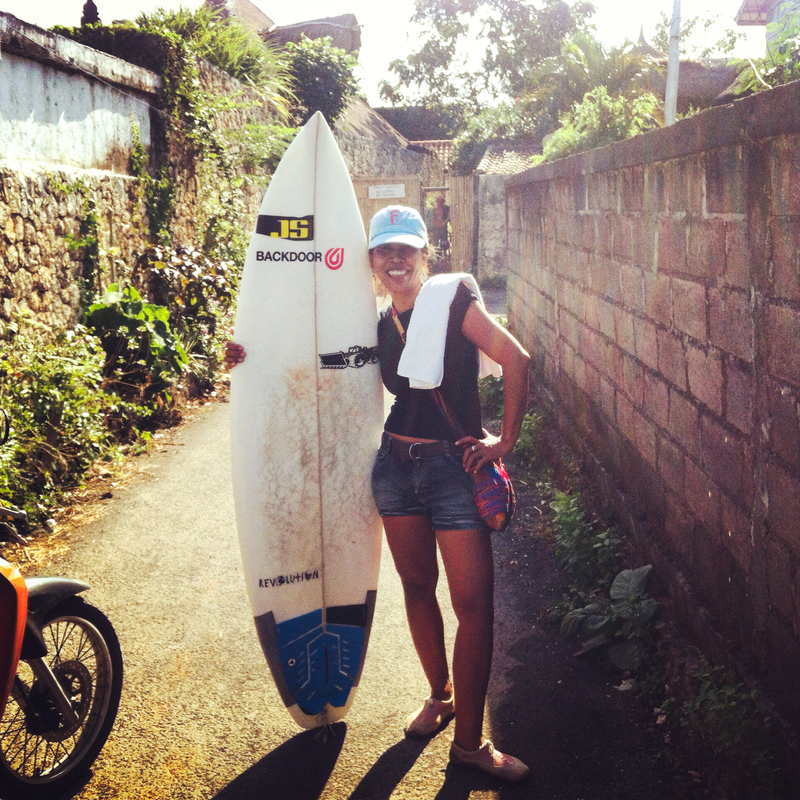 Rent a board (watch out for the wicked reef in the shallows!) and buy the photos taken of you from one of the many surf photographers on the decks. Hotels here tend to be a short walk from the beach on flat ground, easy accessible and you’ll find pools which you can’t get in Bingin. 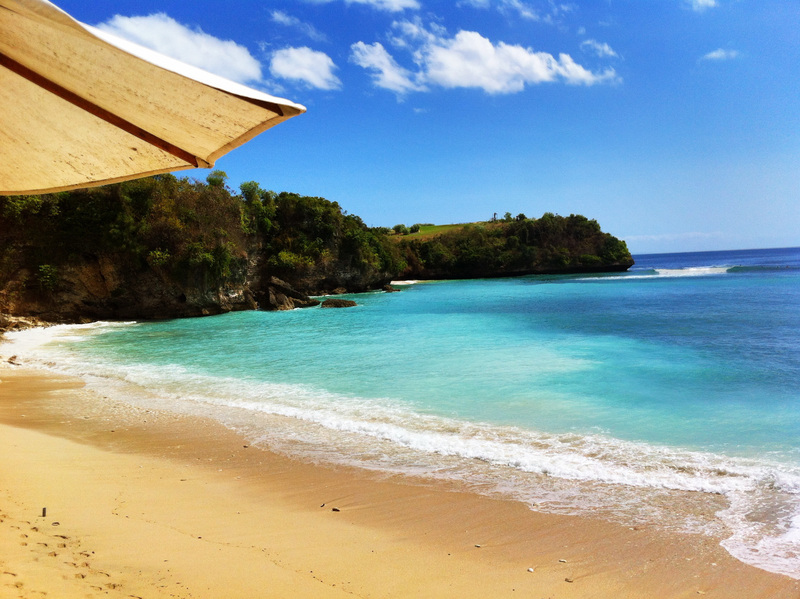 I recommend Balangan Sea View Bungalows, especially if you have kiddos. Best beach for shopping. Lots of stands with sarongs, dresses, and hats. Umbrella for rent and plenty of Bintangs for sale. Calmest water for swimming. Dramatic cave entrance to gorgeous nook of a beach. More secluded and less touristy but you won’t find chairs, umbrellas for sale here. Maybe the occassional sarong lady or ice cream vendor if you’re lucky! Be sure to check out Single Fin restaurant on the hill for lunch or just a drink for the view! Outdoor shower, A/C room, full kitchen and best of all – Ida our housekeeper turned good friend who arranged scooters, rides with her partner Komang, carried cases of beers up and down the hillside, told us stories, taught us new phrases in Bahasa (Indonesian language) and overall is a total joy to know. We came back twice to Bingin and she helped us arrange for accommodation and greated us with a huge smile, squeal and hug every time. I heart Ida. E gave Ida and Komang his board when we left – she was SO happy! Great price (450,000 IDR ~$45USD) and killer view from bed. Hard to beat during high season. Great location, steps from the beach. 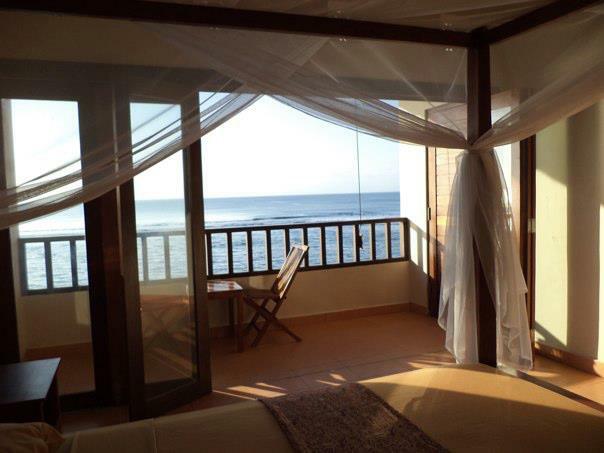 Spacious rooms, big comfortable bed, gorgeous view from private balcony. Balé Bingin. We found it to be overpriced at 500,000 IDR with small rooms, cold water and grumpy owner. But I’m told it has new owners and is nice now, Airbnb reviews back that up. Try it and let me know! Our go-to breakfast and lunch spot when we didn’t want to charge the stairs up the hill. Chill atmosphere with big couches front and center to watch the surfing action. 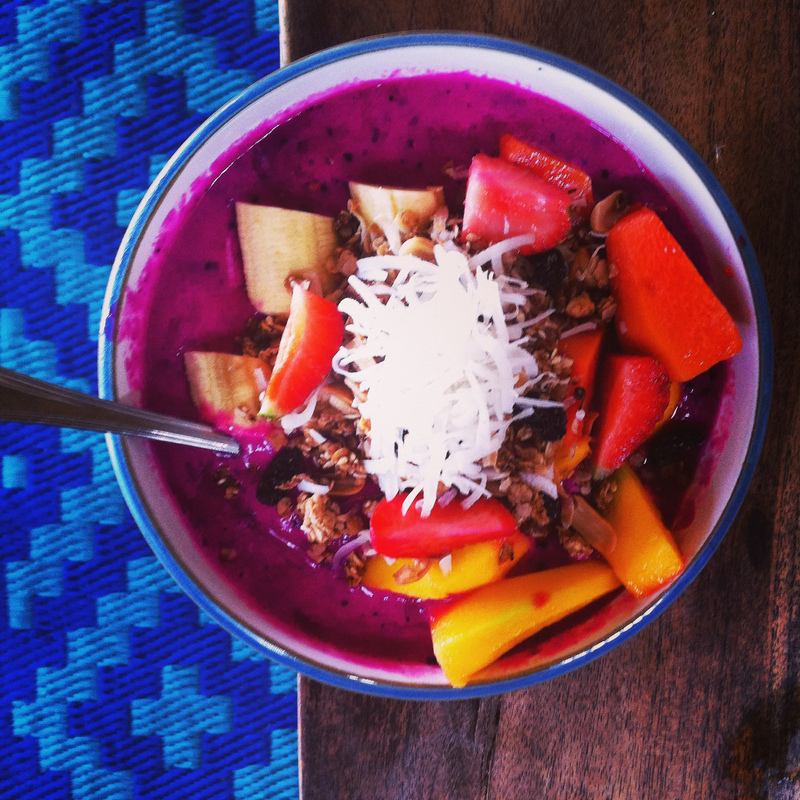 The Pitaya Bowl (below) is a must. Dragonfruit smoothie with tropical fruit and meusli topped with coconut. BOOM! Their daily specials for lunch are usually pretty great and the juices are to die for, and even though he permanently smells like wet dog, the resident pooch is adorable. Not my favorite food but the coconuts are cold and they have the best yoga and wifi on the beach, AND the only soy milk I could find! Best food in Bingin for lunch or dinner. Play area for kids, strong wifi, soy cappuccinos and to die for Tofu Cashew Curry. Skip the Asian Noodle Salad. We ate here three times, love this place. Order the samosa, passionfruit squash (non alcoholic, amazing) and #32 with squid. The fish wrapped in banana leaves are amazing as well. YUM! Fabulous gift shop to browse too! Buy a sarong from one of the many beach vendors. 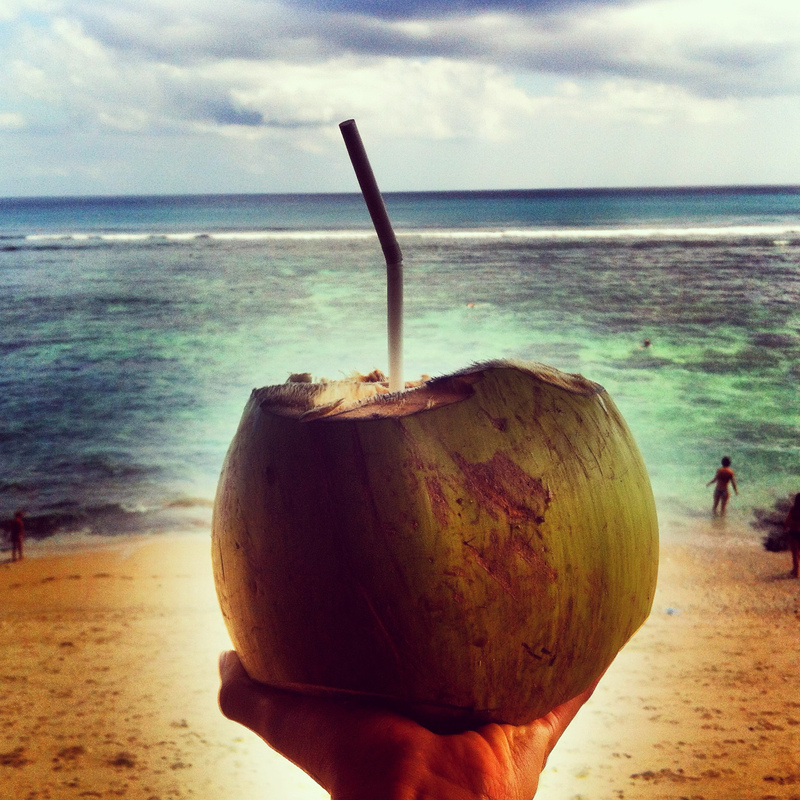 Spread it on the sand, order a Bintang or a fresh coconut and watch the sunset on the beach daily. 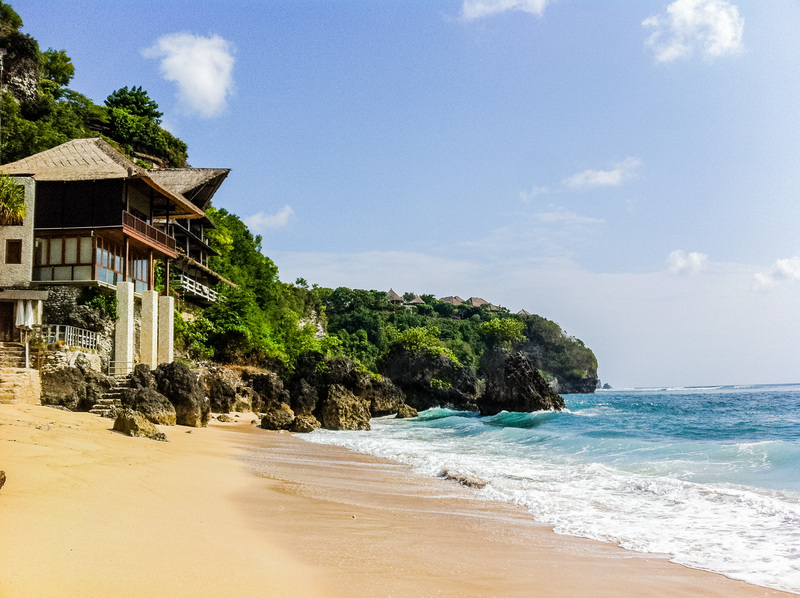 Hire a car and spend the day in Nusa Dua shopping or relaxing at Geger Beach. Gegor beach – new bikini! 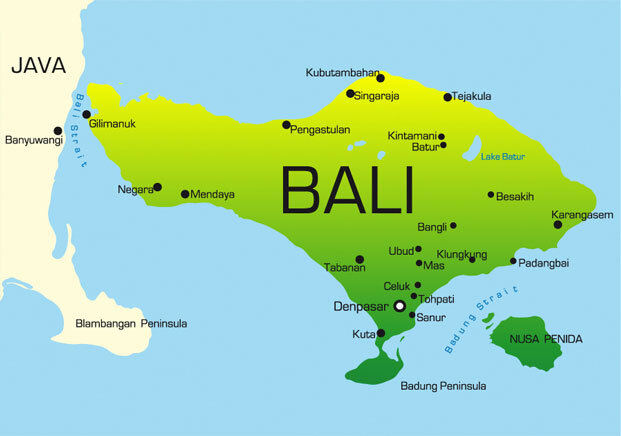 Hire a driver and have a night on the town in Seminyak. I recommend my friend Komang, you can hire by emailing Ida, tell her Lisa sent you. 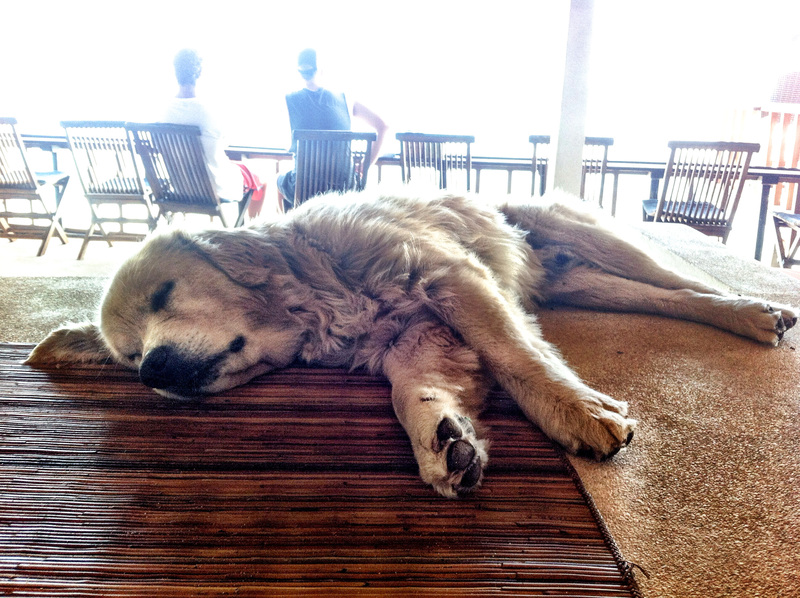 See my upcoming post on Canguu and Seminyak for recommendation on where to go. Sarongs from ladies on beach. I found Padang Padang to have the best prices and variety but the Bingin ladies are so sweet I had to buy some there too! 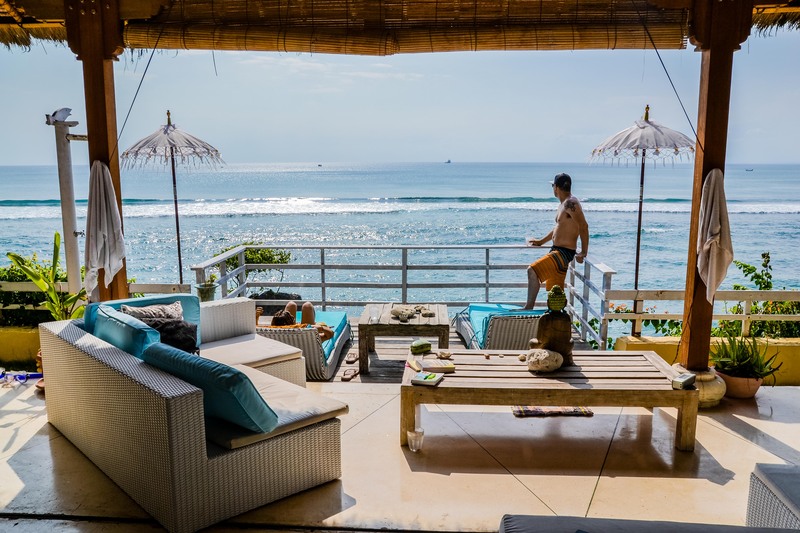 Kuta and Seminyak – it’s a 45 minute drive but worth it and tons of shopping. Duck into side streets to find the deals. 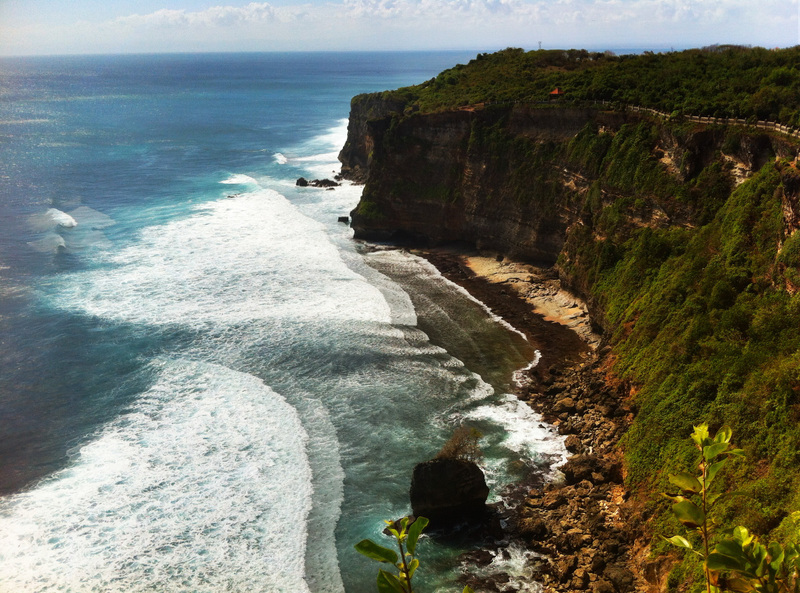 You really can’t go wrong with Bali and if you’re looking to surf or have a relaxing beach stay, Bukit Peninsula is a no brainer! Incredibly beautiful . I am so happy for you to have such great experiences ! Definitely have to check it out some day! New owners took it over in May 2016, have remade the place – and are very nice. So I would highly recommend this place now. It has a really good placement, and the price is reasonable 😉 It can be booked on airbnb Bale@Bingin. Good to know. I’ll check it out again next time I’m there 🙂 Thank you! Hi, I cannot find anywhere contacts or listing on Mother Tomtom. Any chance you have one or idea where can they be found? Help greatly appreciated…. So sorry for the delay! I’ve been asking around but nothing so far. Will update the blog when I have more info. Thanks for letting me know!